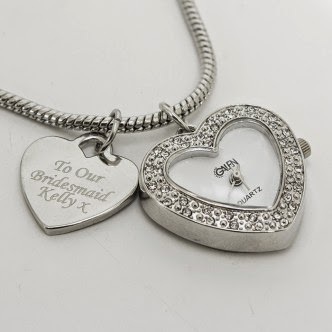 Trials & Tribulations Of A Brummie Mummy: Mothers Day Giveaway From Toxic Fox. Mothers Day Giveaway From Toxic Fox. If you follow my blog you know, i love to enter competitions in my spare time. Its very time consuming sometimes but i have won some amazing things. so i wanted to share this great giveaway with you. 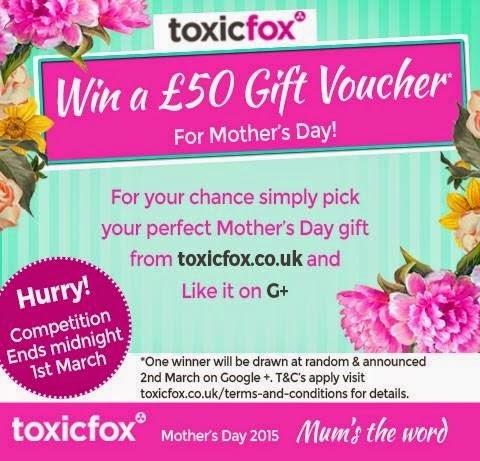 There are 4 chances to win one of £50 voucher to spend on toxicfox.co.uk Mother’s day collection – one per social network (Google+, Twitter, Facebook and Pinterest). Then they will collate all the people who entered and randomly pick a winner from each social media channel and announce the winner on the 3rd of March. Check out this lovely watch bracelet, isn't it beautiful?